For decades, China has dominated supply chains, with most manufacturing countries following a “China Plus One” strategy for sourcing – diversify their operations by adding another location in Asia. But many recent reports suggest that China’s growth has weakened because of the volatility. China’s production numbers are dropping and factory activity is slower than expected. It’s not hard to see why. 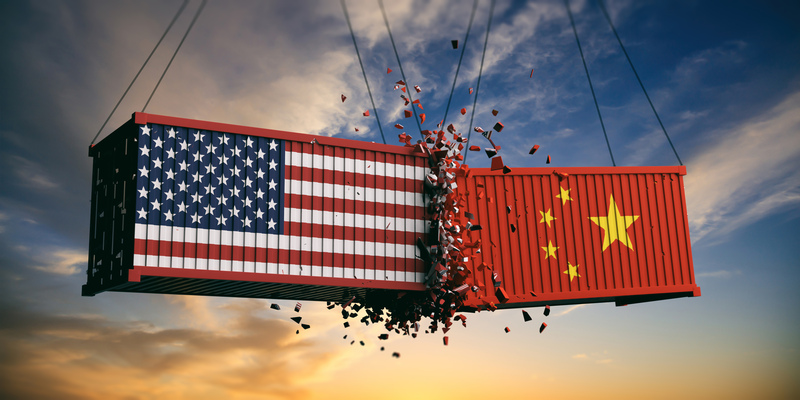 In September 2018, US companies paid 54% more in tariffs year-over-year, and many are now recognizing the importance of diversifying their supplier base to more than just “plus one.” In fact, more than 60% of apparel companies are now sourcing from at least 20 countries, according to the US Fashion Industry Association’s report. And in the automotive sector, BMW has moved a part of its auto production to China to avoid the retaliatory China tariff to its imports previously manufactured in South Carolina. This trade volatility and disruption affects every company and every industry. The fact is, global trade volatility can carry a hefty price tag for more than just tariffs. It can drive up the cost of raw materials, manufacturing, transportation, duties and tariffs, and ultimately increase the prices paid by consumers. Supplier diversity is a hallmark of business wisdom, but when companies add to their supplier base it introduces other variables that can offset the benefits of simply leaving China and its uncertainty behind. For instance, labor costs are by no means fixed, and in many countries that are popular substitutes for Chinese sourcing – Bangladesh, Vietnam and Mexico – labor costs are expected to rise between 5-16% in 2019. In Bangladesh, labor costs are expected to increase by 51% in the coming months. Another key consideration for companies is that, even if they move production out of China, they’ll only avoid potential tariff costs if specific conditions apply. For instance, if certain components of the finished product or a precise amount of the raw materials ultimately originate from Chinese facilities, or certain processing takes place in China, companies may still incur the full cost of the tariff—on top of the cost of relocating and establishing operations in a new location. It may be difficult to find partners in other countries that can manufacture to the same quality standards as their Chinese counterparts, so some companies may find the opportunity cost of moving out of China to be too high. In extreme cases, brands themselves can lose significant equity because of quality issues caused by their decision to switch suppliers. To make this even more challenging, consumers are demanding to get the product in their hands faster, increasing costs of production and fulfillment, and the real-world application of emerging technologies. To avoid this, companies need to take a holistic look at their global sourcing strategy with all relevant factors considered. Often this means examining the product’s Bill of Materials (BOM), which gives a complete and hierarchical listing of any raw materials, sub-assemblies, components, or ingredients and the quantities and costs used in the product. Companies must then check the materials they use against tariff specifications to ensure the costs they’re trying to avoid by sourcing from China are actually avoided. In some cases, shifting production from China could actually yield a net increase in costs. This is often called “tariff engineering” – a practice that starts during product design and involves sourcing teams to identify raw material providers in countries that will allow them to avoid a tariff increase, hence reducing the overall product cost. It is critical to be tuned into the geo-political topics that are impacting the direction of global trade and the implementation of punitive and retaliatory tariffs. Companies should consider how to react to these developments and brace for more changes that may come down the road. To stay ahead, you need up-to-date global trade knowledge to pinpoint changes and digital supply chain execution technology to ensure goods cross borders efficiently. At a minimum, the information you need includes current duty rates, accurate bilateral or multilateral free trade agreements data down to the HS level, methods to identify which products have been targeted with what anti-dumping or countervailing measure, and more. Best-in-class businesses also need methods to track import and export trends as supply chains adjust in parallel to trade policy fluctuations. Companies that want to get out in front of these changes can start by looking at the technologies and systems that will level up their profits and efficiencies, all while innovating and keeping up with demand and lowering liability exposure. Today’s trade policy landscape calls for a leading technology that can help identify opportunities for growth, boost productivity, enable compliance, and minimize risk. That is a tall order in times like these.